Happy Birthday!, Get Well Soon!, Happy Anniversary!, With Love!, I Wish You Were Here, To My Special Friend, Happy Retirement, Happy Mother's Day! 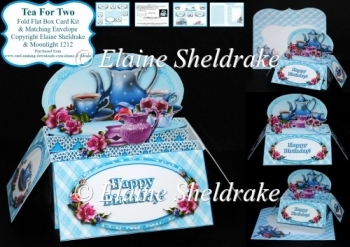 I have designed a vast series of these box card kits so there are plenty to choose from. Happy Card making Everyone!